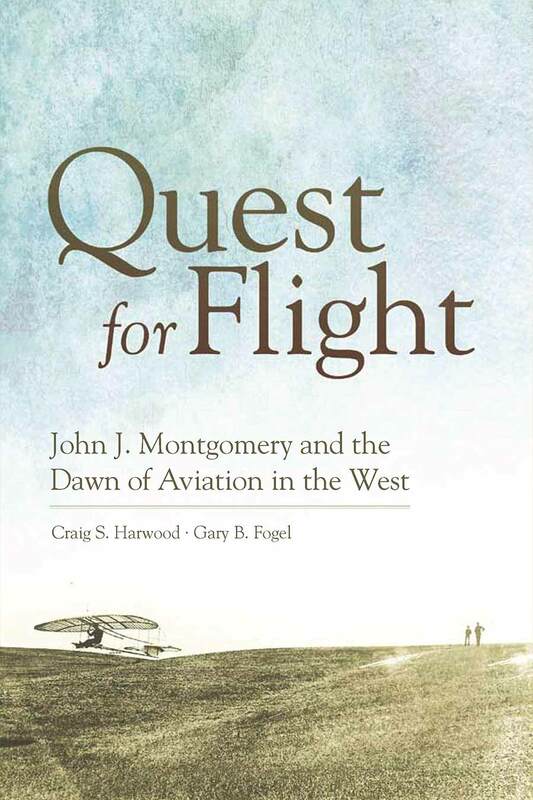 The author of “Quest for Flight”, Craig S. Harwood will provide a talk on the biography that he wrote about his great grand uncle, John J. Montgomery on Sunday, August 10, 2014 beginning at 2:00 pm. Montgomery has been credited with completing the first controlled flights of a heavier-than-air craft in the Western Hemisphere near San Diego, California in 1883. Montgomery is also believed to have been the creator of what is known today as the aileron. Years later, Glenn Curtis was awarded the patent on the aileron. As a scientist researching the laws of flight, Montgomery invented basic methods of aircraft control and stability, and refined his theories in aerodynamics over decades of research. “Quest for Flight” is an award winning multi-nominated book that will serve as the basis for an entertaining and educational presentation by the author Harwood as he weaves the fascinating story of how Montgomery and a cavalcade of characters (all Californians) collectively transformed science fiction into reality. Montgomery’s work gave impetus to those who established California’s burgeoning aviation industry of the 1920’s and the 1930’s. Copies of this book, which won the Great Southwest Festival (2014) will be available for purchase and personal inscription by the author. The Museum of Flying invites you to join us for this interesting presentation on Sunday, August 10, 2014, beginning at 2:00 pm.